What is Michael Steele doing? In his latest speech declaring a new day for the GOP, the Republican Party chairman offered up yet another rough and tumble takedown of the Democrats, filled with biting rhetoric and at times lackluster, backward-looking policy initiatives. Among many terse one-liners came a declaration “that the era of the GOP apologizing, navel gazing and looking backward is over.” But his speech did little to convince Americans—or even Republicans—that the GOP is moving forward. His screed against Nancy Pelosi, Harry Reid and Timothy Geithner seemed just plain dumb. Sure, it played well for TV. But what the GOP needs now is serious leadership. It needs new vigor, fresh ideas and a resurgence of “Kempsonian” principles: fiscal responsibility, strong national defense and sincere outreach to people of color and to the disenfranchised among us. What troubles me as a lifelong Republican about the speech is that instead of focusing on what concrete solutions the GOP can offer to Americans to solve the serious challenges that our nation currently faces, Steele used the occasion to deride Obama’s popularity, take shots at Pelosi (who is doing a good job of wrecking herself these days) and rant about how the Democratic Party is trying to shift the country toward socialism. I don’t buy into the socialism argument—because I trust the American people more than that. If President Obama and the Democrats continue to veer too far left, the 2010 midterm elections will force a major correction. It is the nature of this democratic republic that we all love and live in. Our founders were wise and their brilliant formula of governance has worked well for over 200 years now. Thunderous applause broke out when Steele said, “Simply put, America needs us now more than ever before.” I beg to differ. What America needs now are people who are serious, sober and committed to restoring America to superior financial strength and international dominance. What America needs now are leaders who will work together to put the people on “Main Street” first. The real people who have lost jobs, lost homes and who don’t know how they will feed, clothe and care for their children if they get sick. Fact: The political party and its leaders that best speak to real human need and optimism will govern for the next generation. Chairman Steele is a friend of mine, and I like him. I want him to succeed, but I am struggling with why this very intelligent man continues to go out and make TV appearances and speeches that continue to diminish him as a thoughtful person, instead of offering us a vision of hope. Michael is far better than his recent speeches. His increasing posturing suggests he is more focused on pleasing the “powers that be” within the GOP than truly ridding the party of their ilk and moving us toward a more open, inclusive and focused Republican Party. The simple truth is that a lot of good people fought to make sure Steele became the party chairman in January. They elected him to bring about change that would grow the GOP and open the party to a new generation of American voters. So far, I am not seeing that change. 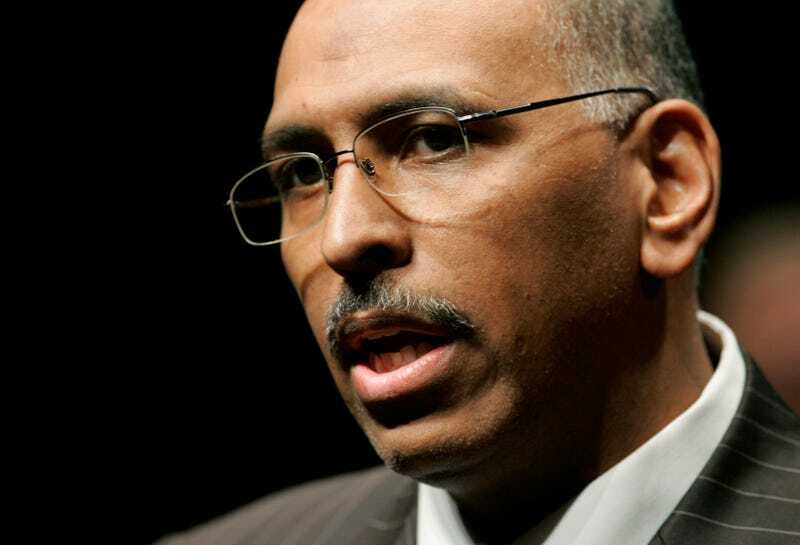 My hope is that Michael Steele will step back and grasp the seriousness of his role and begin to move the GOP forward. Sophia A. Nelson is a longtime Republican strategist and contributor to The Root.